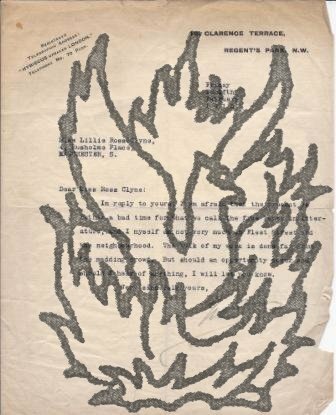 [ Lillie Martin Wood ] Signed autograph 'copy of my letter sent to Miss Meakin at Freiburg, Baden': a long and informed letter to a German friend regarding war profiteering, inflation, and the economic state of Weimar Germany. Copy of letter sent 'on July 23rd. 1924'. 6pp., 4to. 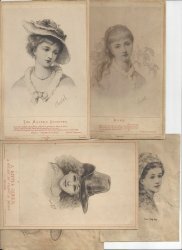 In good condition, on aged paper. In envelope docketted by her 'My reply to Miss Meakin | to her letter of July 18th. 1924'. The recipient is a German former friend, who has sent her a copy of a letter she has sent the London magazine the Spectator, complaining of the economic treatment of Germany since the First World War. Wood signs herself 'Your affectionate old friend', recalling 'our beloved parents, and [...] our own youth'. She concludes bitterly: 'Please dont interrupt your studies for the thankless task of trying to make me forget all that we owe to Germany. Autograph Letter Signed and Typed Letter Signed (both 'Geo. R. Sims') from the journalist and playwright George R. Sims to Lillie Ross-Clyne of Manchester. 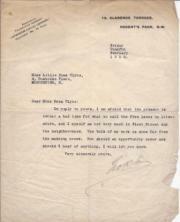 Autograph Letter: 27 September 1911. Typed Letter: 12 February 1915. 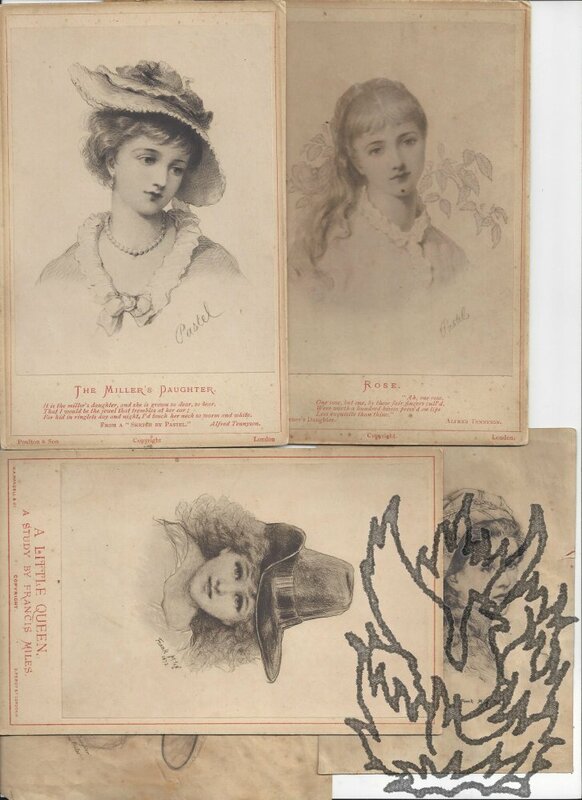 Both on letterhead of 12 Clarence Terrace, Regent's Park, London. Both 4to, 1 p. Texts clear and complete. Both on aged and worn paper. Autograph Letter: He apologises for not acknowledging her letter ('I have been so busy and away a great deal') and regrets that he does not 'for the moment remember anything which would be of service to you'. Typed Letter: He regrets that 'the present is rather a bad time for what we call the free lance in literature'. He is not himself 'very much in Fleet Street and the neighbourhood', the 'bulk' of his work being done 'far from the madding crowd'.